SPE electrolyzed water is initially used to supply oxygen to spacecraft or submarines and the laboratory as a hydrogen generator. After being electrified, the water immediately decomposes into 4 positively charged H and 2 - 2 valent oxygen on the anode, and the decomposed negative oxygen ions emit electrons at the anode to form oxygen, which is discharged from the anode and carried part of the water into the sink. Hydrogen protons in the form of hydrated ions, under the action of electric field force through the ion membrane, reach the cathode to absorb electrons to form hydrogen, discharge from the cathode chamber, into water, hydrogen-rich water can be generated. 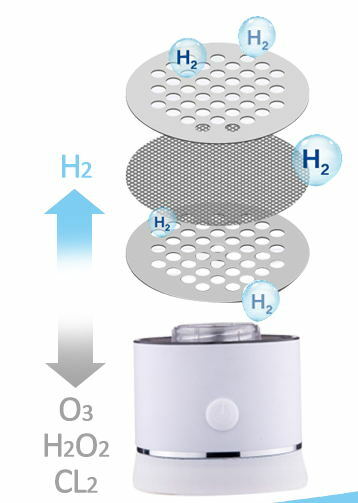 The SPE diaphragm electrolysis method has high conductivity for the hydrogen ion. It is mostly used in military and aviation fields. SPE electrolytic water hydrogen production technology has the advantages of stable electrochemical reaction, not easy to precipitate harmful substances, hydrogen and oxygen generated by ionic polymer film isolation, oxygen is discharged into the air insoluble in water, resulting in a relatively high concentration of water, water quality and taste good. Adding a special process can electrolyze pure water, the current technology can electrolyze pure water basically belongs to high-end products, but only he can be used in cosmetic makeup because most of the beauty makeup is pure water. So when you choose, you can ask if the manufacturer can electrolyze pure water, which is also a way to identify high-grade water glass. Only a few foreign companies can produce solid polymer electrolyte membranes at high cost (Dow, DuPont, Asahi Nitrate and Asahi Chemical Company). Platinum electrodes for electrolysis are expensive. 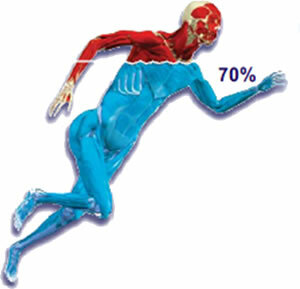 The complex structure of electrolytic cell requires high technology. These factors make SPE water electrolytic cups which can electrolyze pure water expensive. Now there are a few manufacturers of this technology, such as ACCWATER's hydrogen water bottle which is with DuPont membrane.